It was 1994 when Xinran, a journalist and the internationally acclaimed author of The Good Women of China, received a telephone call asking her to travel four hours to meet a woman who had just crossed the border from Tibet into China. Xinran made the trip and met the woman, called Shu Wen, who recounted the story of her thirty-year odyssey in the vast landscape of Tibet. 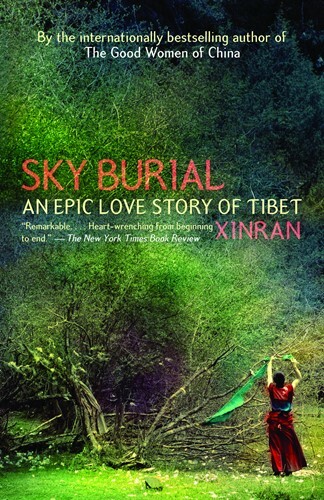 In Sky Burial, Xinran has re-created Shu Wen’s journey, painting an extraordinary portrait of a woman and a land, each at the mercy of fate and politics. It is an unforgettable, ultimately uplifting tale of love, loss, loyalty, and survival. From the Trade Paperback edition.